One tomato plant produces 10 to 15 pounds of fruit in a season. 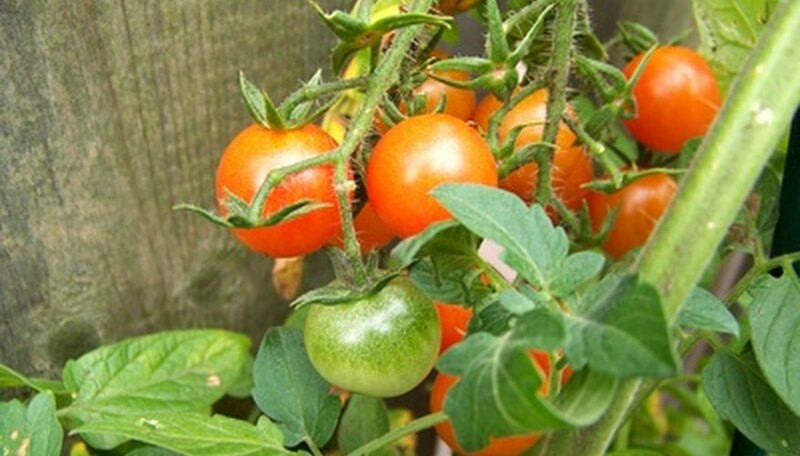 One standard cherry tomato plant is usually enough for a whole family's needs. Tomatoes are grown in 95 percent of home vegetable gardens. They take little growing space when supported vertically.